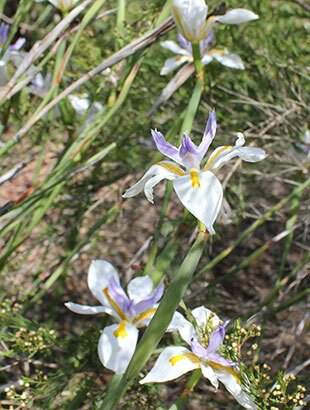 Description: Dietes grandiflora is one of the toughest and most beautiful landscape plants available in Australia. The only downside is its ability to produce a lot of seed. 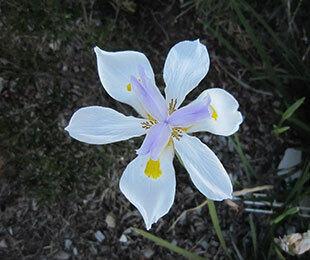 Grand Star™ Dietes has a very low pollen count compared to the common form, and rarely if ever produces viable seed. Now it is possible to use one of the prettiest and toughest landscape plants without the worry of it seeding everywhere! Shown to produce a low percentage of seed compared to the common form in field tests. 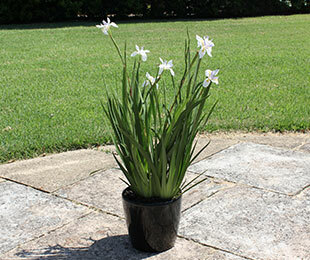 This safer exotic, strappy leaf plant is highly drought, heat, humidity and frost tolerant. Once established, it needs very little maintenance, only needing cutting back on average every 5 to 7 years, if at all. Position: Full sun to part shade. Tolerates drought, humidity and frost. 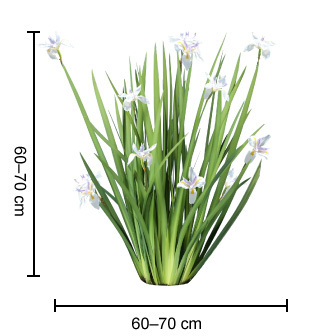 Grand Star™ Dietes tolerates most soil types. Care: Water as required for 8-13 weeks until established. Plant in a well mulched garden (chunky mulch is recommended). If required use slow release fertiliser in spring. Cut back every 5 to 7 years.